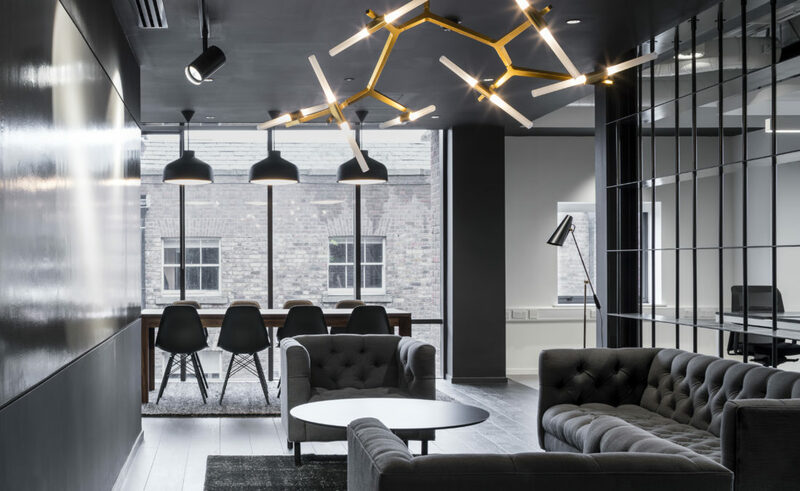 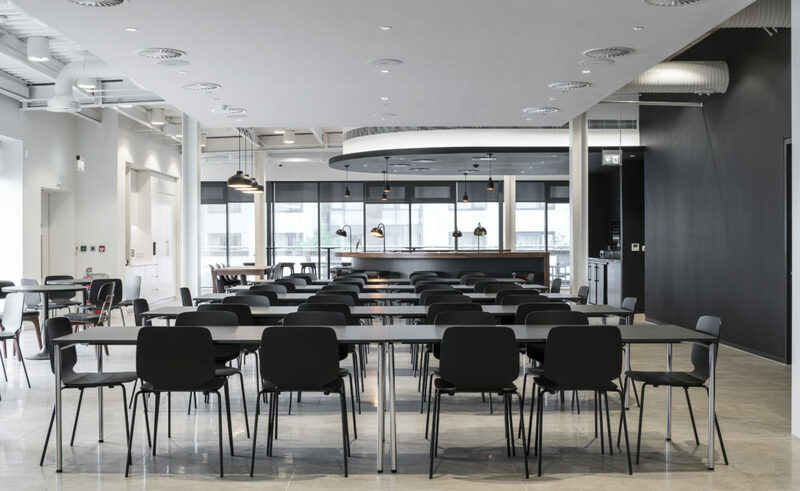 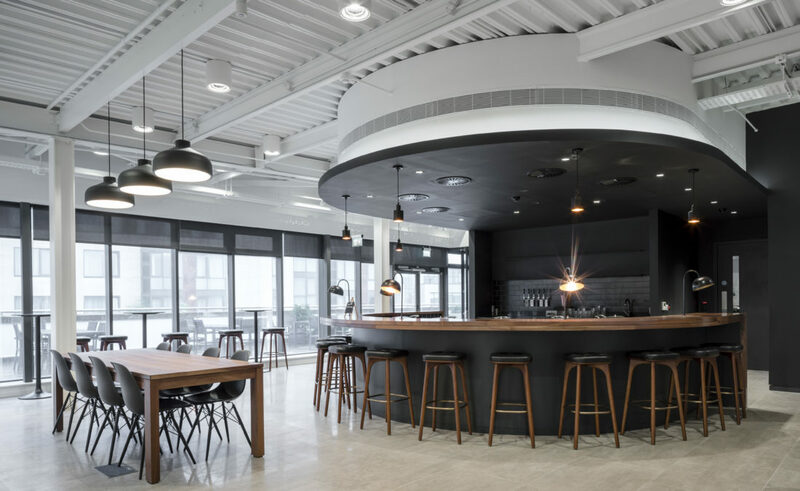 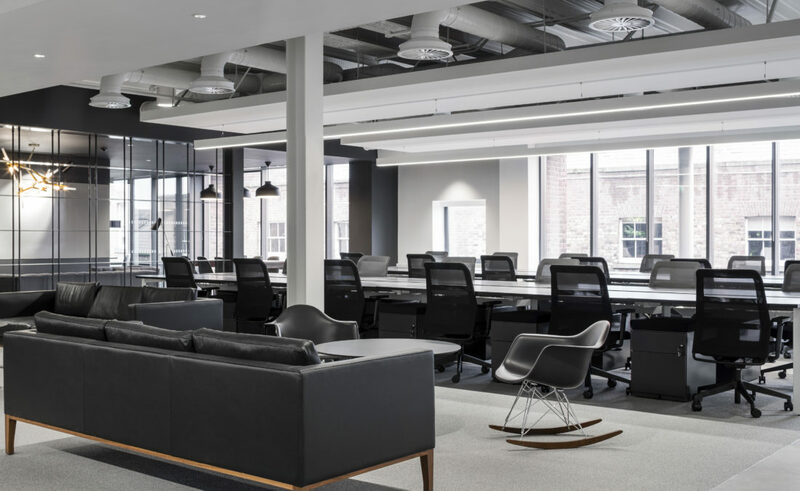 MOLA Architecture were appointed in 2015 to carry out due diligence and design services for the fit-out of Squarespace’s new office Headquarters at Ships Street, Dublin 2. 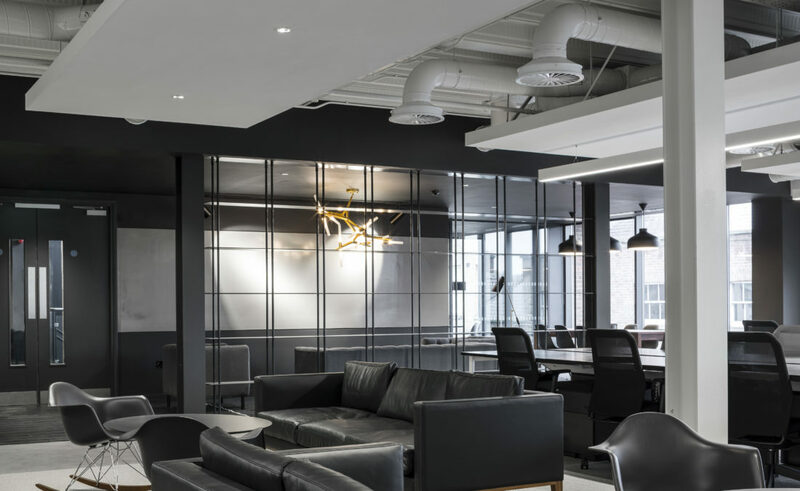 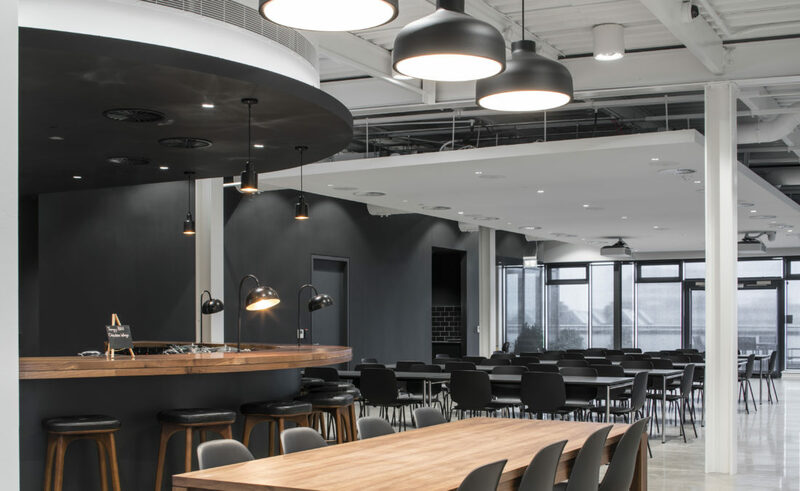 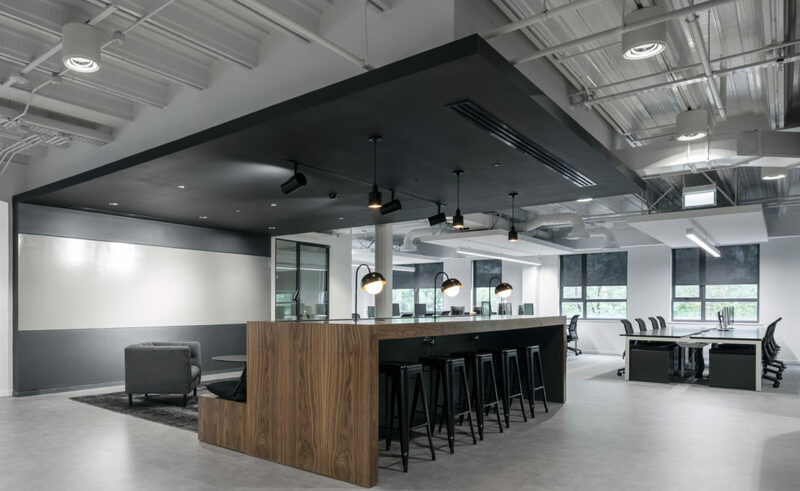 Our role involved working closely with the client and their New York design team A+I in the delivery of detailed design and construction drawings for this unique workplace environment. 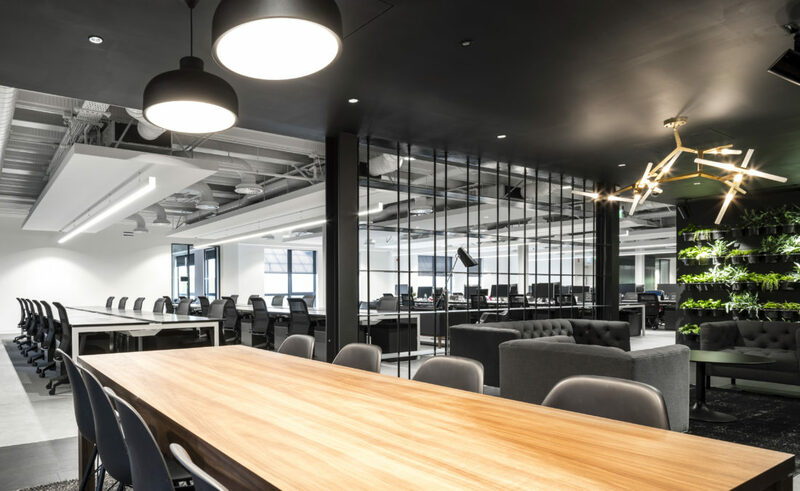 Working with high quality materials, bespoke joinery and a mono-chromatic palette the design provides a calm, smart and mature space to work. 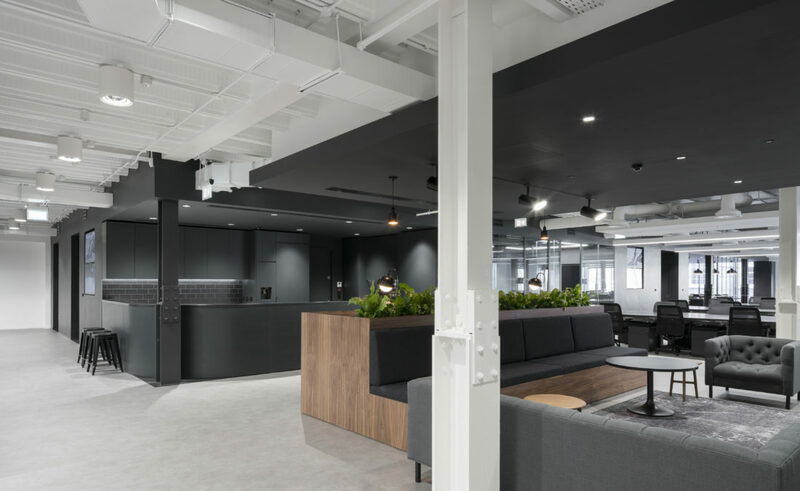 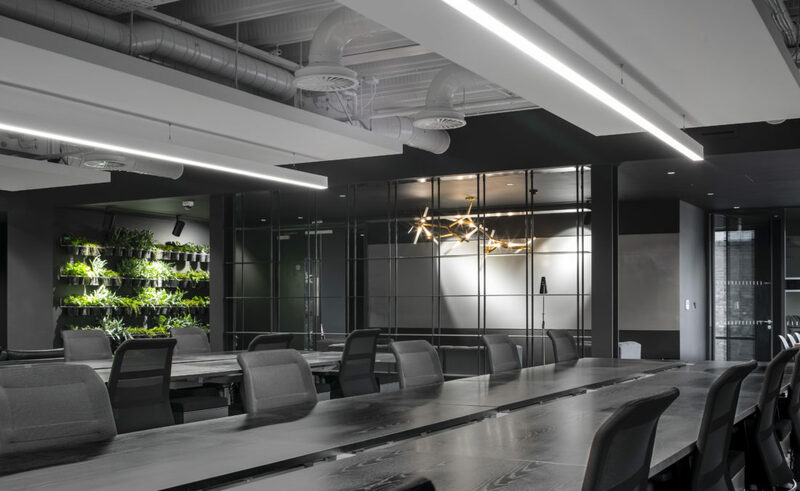 The ceilings and columns of this speculative office space were stripped back and exposed to provide a warehouse feel whilst relaxing furniture and greenery provide a soft counterpoint.